LET'S TALK E-JUICE: The top 20 of e-liquids that deserve the status of legend! Today there are thousands of e-liquids around the world and every day new references are needed on the market. Yet in a few years, some references have become essential or even real unicorns. To make you discover or rediscover these famous nuggets, here is a list of 20 e-liquids that we think deserve the status of legend ! THE PALMARES OF THE E-LIQUID 20 OF LEGEND! The king ! When talking about legendary e-liquid it is usually this e-liquid that is named! A unique recipe, secret and well guarded by Alien Vision. 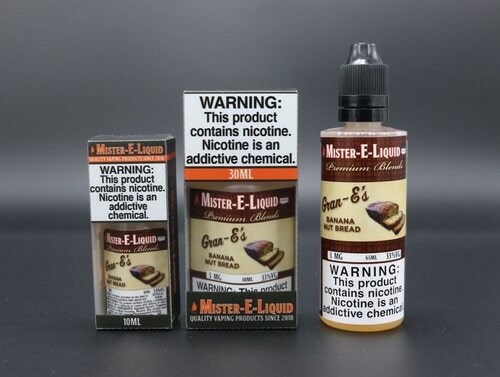 This gourmet tobacco rich in aroma, each will find different notes ... Chocolate, caramel, coconut or spices, this juice only available in full VG (presented as 100% vegetable glycerin) is a real treat for the taste buds. Since a few weeks he is back to the delight of fans of the genre! This is the second nugget of the American "Alien Visions"! If you're not a fan of Boba's Bounty, the banana flavor added to the recipe might make you fall for the Gorilla Juice. 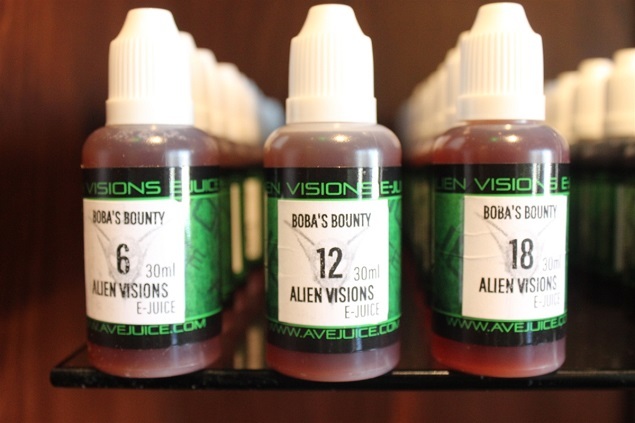 This e-liquid is a sweet and sweet evolution of Boba's Bounty. In addition to a gourmet and complex tobacco, there are calculated and unique notes of banana. Totally addictive, this e-liquid is also part of the references to taste at least once during a vaping experience. Amateur e-liquid tobacco? Maybe you will find your nugget in this bottle! 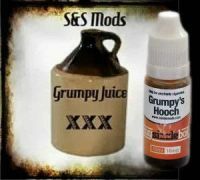 Grumpy's Hooch is an e-liquid that has quickly earned a reputation! Totally addictive, this complex tobacco where you can find notes of coffee, gingerbread, hops or honey is clearly part of e-liquid legends! This e-liquid in 50% VG / 50% PG could have been your new reference gourmet tobacco unfortunately it is not available at this time anymore! Often copied, never equaled! By its innovative side at the time of its release, the Cinnamon Danish Swirl of S & S Mods clearly has its place in this Top 20! Lovers of delicacies of all kinds, this e-liquid could surprise you as it inspired the manufacturers. 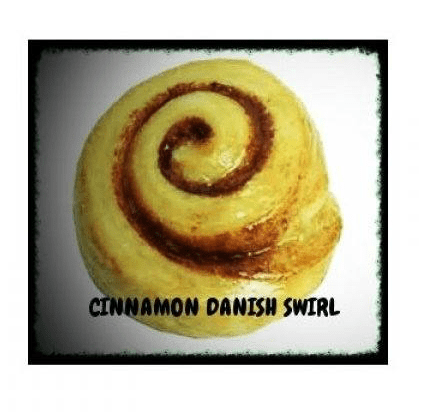 Based on the famous Danish pastry (which is also found in the "Starbuck's coffee"), the Cinnamon Danish Swirl is a real sweetness mixing sweet brioche and cinnamon. A recipe that S & S Mods has perfected to be consumed all-day. Can we really talk about legendary e-liquids without mentioning this reference! You do not know him? Well know that this famous e-liquid whose color "green fluo" can surprise is a real concentrate of liquor anise and fruit. If you are a real drinker of Pastis (or Ricard), this juice may please you. But beware of the taste buds because the Radiator Pluid will surprise you with its power! 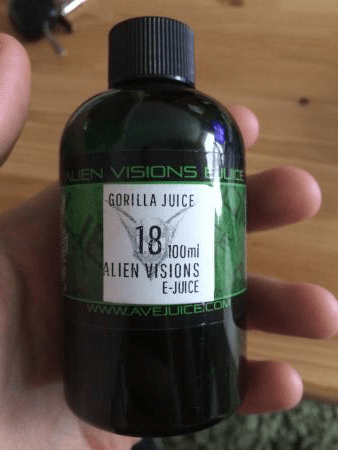 That we like or hate, this e-liquid is clearly a unicorn in the world of the vape. If the Radiator Pluid is a true reference in the world of vape, the less known Maha Ras also deserves its place in this Top 20 legendary e-liquids. This red nectar is a fine blend of pomegranate and floral flavors really surprising. 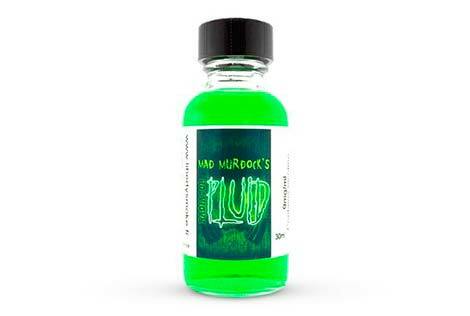 Complex and addictive, it is often mixed with pluid to obtain a unique e-liquid. While Maha Ras may not have been a bestseller in Europe, it remains a true reference in the United States. We like it or we hate it but what's on it is that it fits in this Top 20! 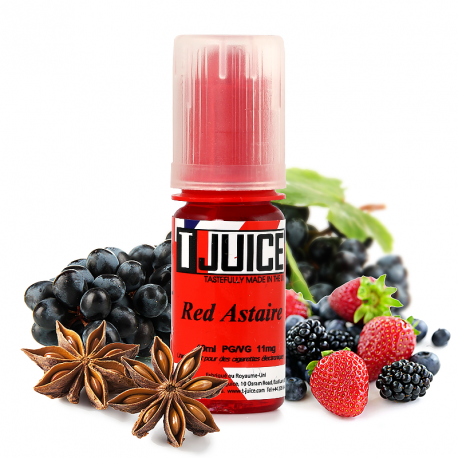 The famous Red Astaire by T-Juice has over time become a staple of the vape! Probably the most sold and copied e-liquid in Europe, the Red Astaire has fascinated and continues to surprise a generation of vapers. Bright red, this famous nectar of which T-Juice keeps the secret recipe is a mix of red fruits, black grapes with sweet eucalyptus, anise and menthol. True all-day for thousands of vapers, the Red Astaire is a reference! It is available "ready to eat" or as a concentrate. We stay in freshness with another e-liquid that has become a real reference: The Heisenberg by Vampire Vape. It is an alternative to Red Astaire, extremely addictive, it is consumed by thousands of vapers and is probably one of the best sellers in Europe. This "blue sky" nugget, which refers to the "Breaking Bad" TV series, is a real mystery, with fruity and fresh notes without ever being able to determine its actual composition. True all-day for thousands of vapers, Heisenberg by Vampire Vape is available "ready to eat" or as a concentrate. With the creation of this reference, the American manufacturer "Suicide Bunny" probably did not expect such a craze. In the end, it is a real madness that has seized the world the vape for Mothers Milk. Acclaimed by the vapers but also criticized for its rates in diacetyl, Mothers Milk is part of these exceptional juices that we will not forget! Complex and gourmet, this e-liquid presents itself as a creamy custard (crème anglaise) enhanced by delicate notes of strawberries. Despite the many copies, the Mothers Milk remains the reference juice in terms of strawberry custard. 2013 Grand Prize Winner "Spinfuel", the Gran-E's Banana Nut Bread by Mister E-liquid will not steal its place in this top 20. If you like gourmet e-liquids, this one could make your tastebuds tickle! Sold in unique triangular bottles, the Gran-E's Banana Nut Bread is the very representation of the pecan and banana cake found in the United States. These subtle flavors of banana, pecan and vanilla make it a true all-day and especially an e-liquid become legend! Here's another bestseller that deserves a place in our "Top 20" legendary e-liquids! After the famous "Grant's Vanilla Custard", the Goose Juice of Quack's Juice Factory is probably the "creamy" e-liquid that made the most noise in the world of the vape. Goose Juice is a gourmet e-liquid with character! This little wonder came into being when two Americans disappointed with the market's proposals decided to embark on the adventure. Side flavor, no doubt! We are on something unique! A vanilla cream (Custard) slightly caramelized and addictive wish. 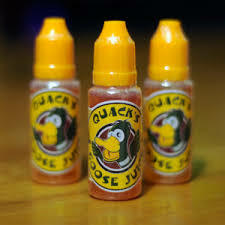 Goose Juice from Quack's Juice Factory is available "ready to eat" or as a concentrate. What to say about this famous elixir? Understand that speaking of this e-liquid is a lot of memories that go back including waiting hours on the official website of Grant's to get the sesame before all the stock is looted by a rabid community! 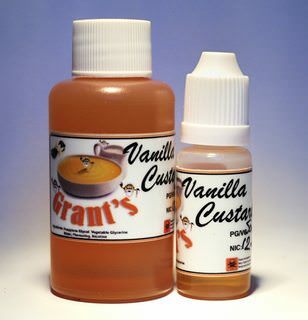 Grant's Vanilla Custard is simply the first e-liquid made from custard that has arrived on the market. Difficult to obtain, with limited batches, this e-liquid has forged a real reputation as a unicorn over time. Since 2012, when the recipe was created, the flavors have not changed. Today, it remains difficult to get this creamy e-liquid with vanilla flavor. 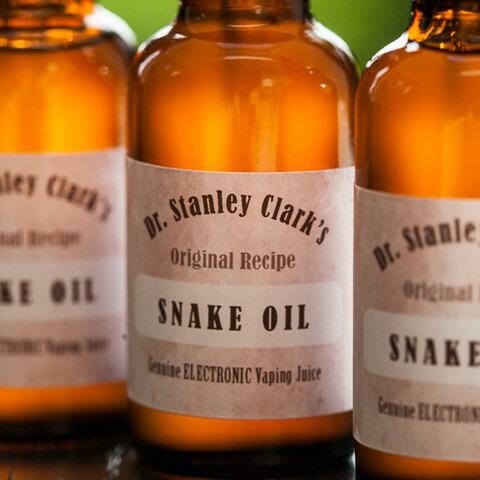 How could we not include the famous Dr.Stanley Clark's Snake Oil in this legendary e-liquids top ... Fruit of the work of an enthusiast of vapology, this mixture has quickly become cult in the ecosystem of the electronic cigarette. Strange blend of citrus, licorice and anise, Snake Oil is part of these surprising e-liquids that have made the vape what it is today. Several times voted best e-liquid across the Channel, Snake Oil will bring freshness and bitterness to those who will be tempted. But beware ! If this elixir is not made for everyone, it can also become very addictive! Those who embarked on the e-cigarette a few years ago inevitably have memories of this famous e-liquid from Halo. Because the Tribeca is a great classic and clearly deserves its place in the Top 20 legendary e-liquids! Based on the famous RY4, the Tribeca has offered the giant "Halo" a solid reputation in the world of the vape. If its popularity rating is not the same today, know that a few years ago, the Tribeca was probably one of the best sales in the shops! A light and tasty tobacco e-liquid with hints of nuts, the Tribeca remains today a true all-day for a generation of vapers. If we were to retain only a reference "menthol" in this top 20 e-liquid legend, it would be that! With a name borrowed from the famous character of the game "Mortal Kombat", the Subzero is one of the first e-liquids menthol powerful taste! Able to chill your throat and refresh you during the summer months, the Subzero was a true bestseller before the competition arrived. 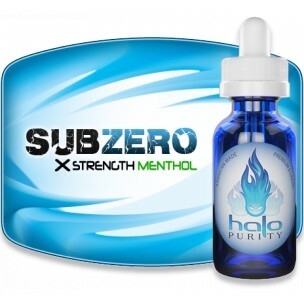 Indeed, what's easier to stop smoking menthol cigarettes than an e-liquid like Subzero. This reference from the giant Halo has paved the way for many manufacturers to create e-liquids of the same type! Unicorn milk? Of course it has existed! 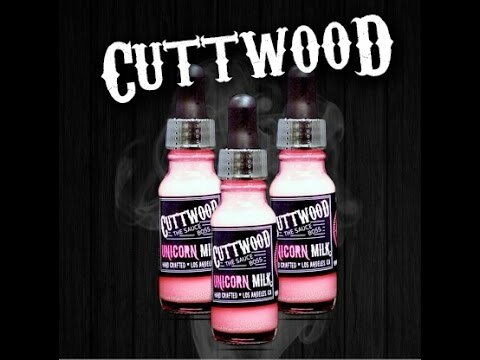 The proof with Cuttwood's Unicorn Milk that had the base had this "pink" color. After a scandal about the products used for the coloring of the e-liquid, it has finally returned to a classic color. A mix of ripe strawberries and four different creams, the Unicorn Milk has quickly become the benchmark in the United States. If in Europe it did not have the success that could have been expected, this reference Cuttwood undoubtedly deserves its place in the Top 20 e-liquid legend. 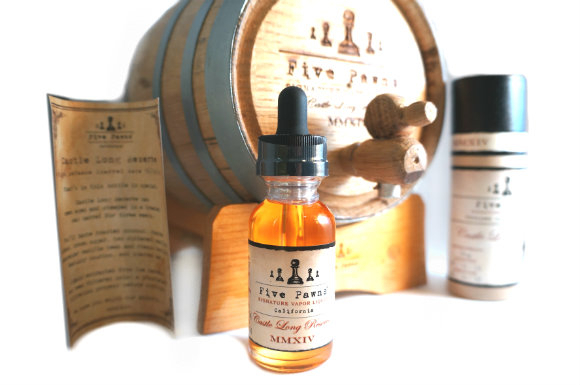 Did you really think that we would talk about legendary e-liquids without mentioning the American monster "Five Pawns"? Impossible ! If there is one reference from Five Pawns that deserves a place in our Top 20, this is the long Castle. This woody elixir is a blend of tobacco, coconut, toasted almonds, brown sugar, 2 types of vanilla but also Kentucky bourbon. A totally addictive e-liquid that is consumed like a good whiskey after a hard day's work. And for lovers of good products, Five Pawns launched the edition "Reserve" which is aged was during 21 days, enough to amaze your taste buds! More than just an e-liquid, a true legend! This is clearly not the most famous or best known juice in the world of vape and yet it is probably the most complex ever created. This real druidic elixir remains a mystery for many vapers, which is found suddenly on a tobacco base is blunt and dry enough. For the rest it's the most total surprise! Thousands of fine palates have broken their teeth. It has this incredible peculiarity that have too few juices to mutate according to multiple parameters. The steeping changes it. Your atomizer changes it. It changes from puff to puff. It's pretty amazing. When you think you have found an element, it disappears and another appears as if by magic and then spins. Uncompromising complexity in all existing e-liquids. According to us, he probably deserves the Golden Palm in this Top 20 legendary e-liquids! Welcome to the white rabbit burrow! Alice in Vapeland is one of those American brands that amazed and fascinated the vapers a few years ago. In this Top 20, we decided to integrate a very particular reference: the "White rabbit" which has the distinction of being exceptional although indescribable. A tobacco base, caramel, a very light coconut ... A little sweet but addictive e-liquid that is aptly named! To date, no one has really managed to reveal the true personality of the white rabbit but that is probably what makes it a legendary e-liquid! A monster of Loch Ness, a true myth, a story that will be told again in 150 years! This is obviously the RY4, the first aroma for e-liquid to have emerged! 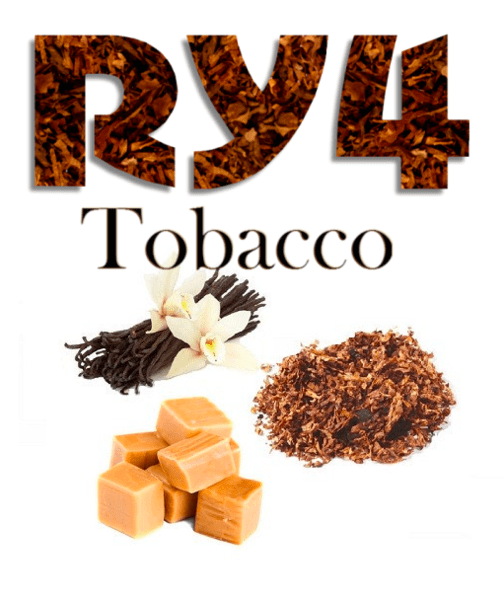 Ruyan's Blend #4 launched by Dekang is the e-liquid that was offered in the first e-cigarettes. While evolving, it became the mythical "RY4" that we all know and is a reference in most e-liquid manufacturers. The term RY4 evokes the blend of tobacco, vanilla and caramel essential to the creation of this famous elixir. As such, the Ruyan Blend #4 can only be in our Top 20 e-liquid legends!